Rising from the ashes of former band Sub Motion, Dublin-based Sick Love, consisting of frontwoman Rebecca Geary, Conor McLoughlin, Sean O’Connor and Cormac O’Neil, have over the last couple of months been building a growing reputation in the Irish music scene with a series of sold out shows and festival slots at Electric Picnic and Indiependence. 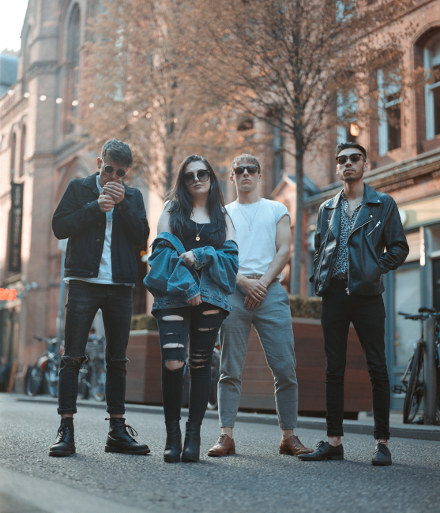 Alongside their growing legion of fans, the four-piece have garnered Irish tastemaker praise from the likes of Hot Press, Irish Times and Dan Hegarty at 2FM for their high energy, no holds barred rock shows and anthemic punky-pop songs. Premiered by John Kennedy on Radio X, Are You Ready? is the band’s debut track which has also picked up radio support from Dan Hegarty at 2FM and Charlie Ashcroft at Amazing Radio. With its furious driving guitars and no-nonsense punk rock attitude, this is an absolute belter. Mark them down as one to watch out for in 2019.